Nothing says winter like a Christmas tree, you can either have one grand tree that says decadence and luxury or smaller trees as part of the decor plan, perhaps even incorporated into the table centres. 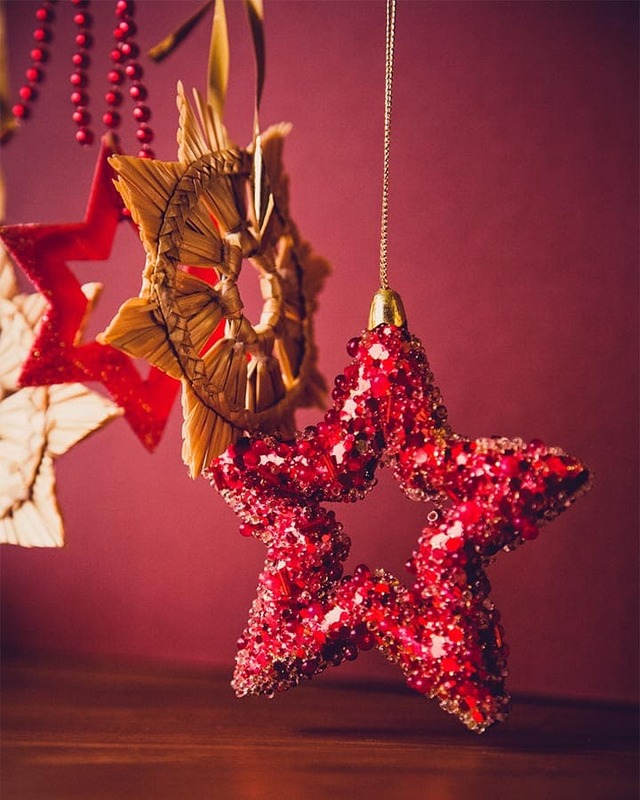 However you choose to use this age-old decoration, Christmas trees evoke the magic of winter that we feel as children, what better way to treat your guests. 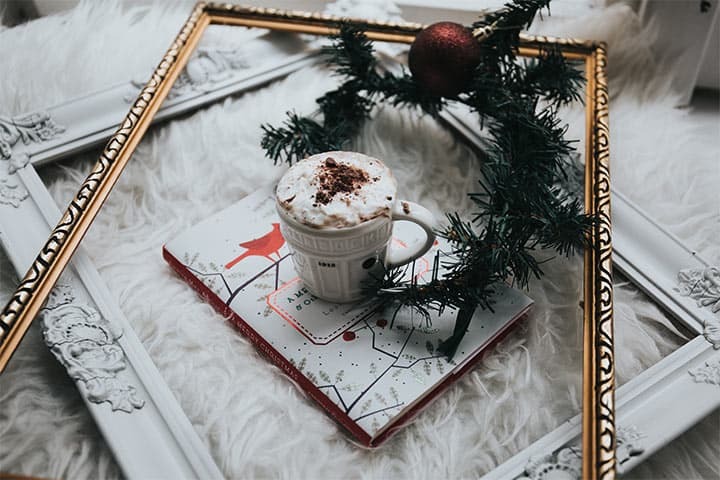 Treat your guests to something to warm them up from the inside out. You can either greet them as they come into the reception as an alternative to wine or perhaps provide a hot chocolate bar. If you want to add a little kick to the hot chocolate you could add Bailey’s, caramel vodka or orange and rum. A crystal bouquet is both unique and wintery. The silver and white colouring combined with the glitz and glam of sparkly crystals screams decadent, luxury and winter! They are often made with a combination of crystal silver brooches, satin, chiffon, pearls and lace. The best thing is you will be able to keep the bouquet forever. When the cold wind blows and Jack Frost visits, he leaves his sparkling trademark. Ice twinkles in the winter sun and brings a little shimmer and shine to the darkest months. Capture this magic in your wedding with sequins, just like ice, they catch the light and gleam, bringing a little glam to your winter occasion. You can use sequins anywhere from the attire to the tablecloth and everything in between. Make your wedding sparkle and give your guests a treat. When looking for winter treats you don’t have to look any further than outside your front door. The gifts from nature are beautiful and can be used in many different ways at your wedding. Consider how berries can be incorporated into the decor or even a flower crown for the bride. 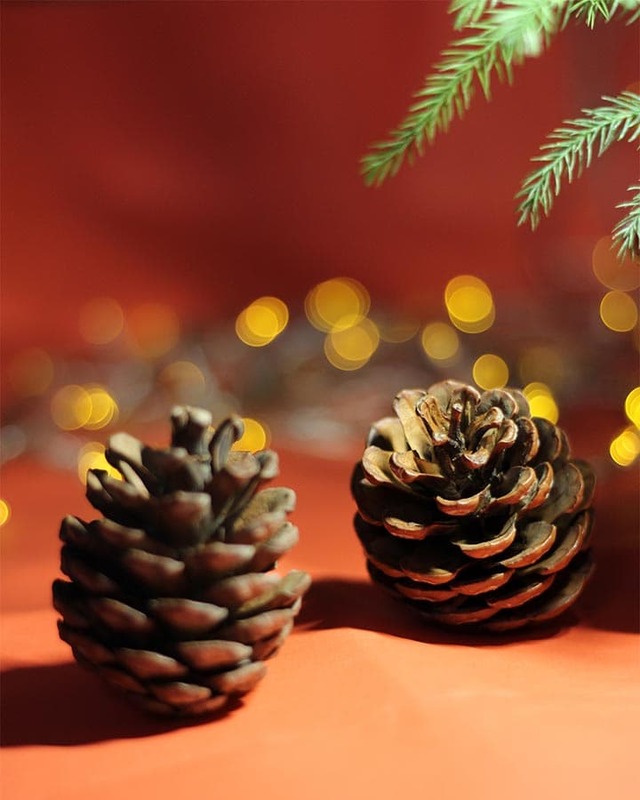 Think about using evergreen stems or pine cones as part of the table centres. Have a moment to think about how the seasonal gems could be used in the bouquet. With so many incredible resources available at our fingertips it would be a shame not to utilise them. Ice sculptures can become a central talking point of your wedding and are the perfect luxury winter treat if you want your wedding to stand out. They evoke curiosity and fascination and can be personalised so they represent the happy couple. They also last a lot longer than you might initially think. UK Mobile Discos provides professional DJ’s for your winter weddings (also available in other seasons), music provides the atmosphere to your event so once you have added all these unique wedding treats you can relax, knowing your guests will have an awesome time with one of our DJ’s. For a free quote contact us today. Like the post? Please consider sharing it! Are 90s Themed Parties The New 80s?